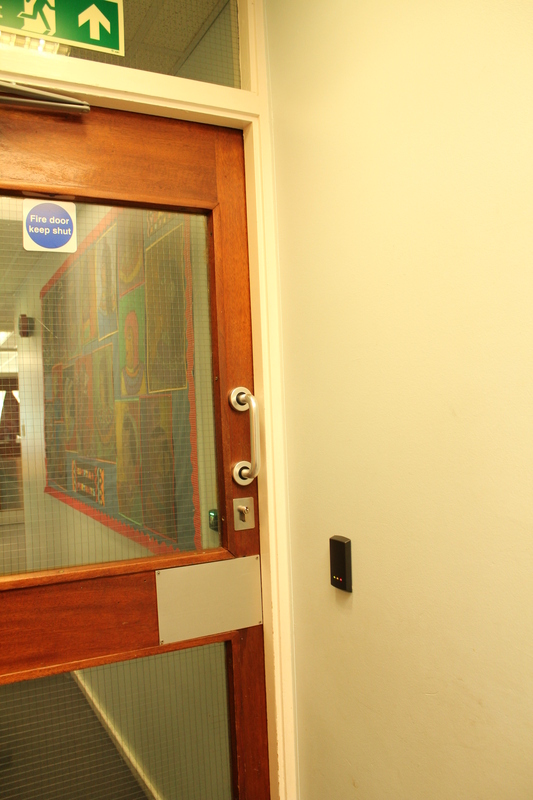 We are registered installers for Paxton Access and install door access in different buildings such as schools, doctors surgeries, factories and offices. 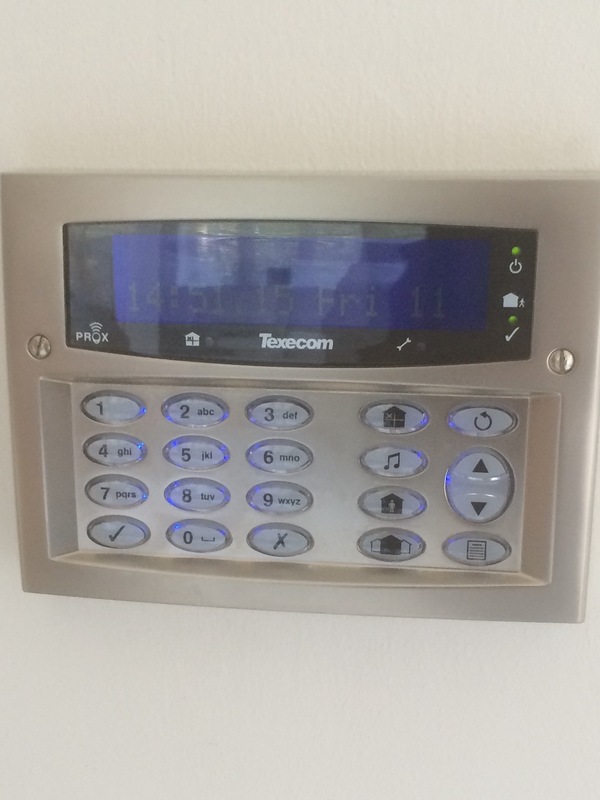 The installation can be computer based and can restrict the access to certain rooms or areas depending on the requirements set out by the customer. Also, we can add times for doors to open automatically and also to remain closed. Entry can be by the use of a Fob, a card or by pin. All access can be viewed on a computer and an immediate shut down can be activated. 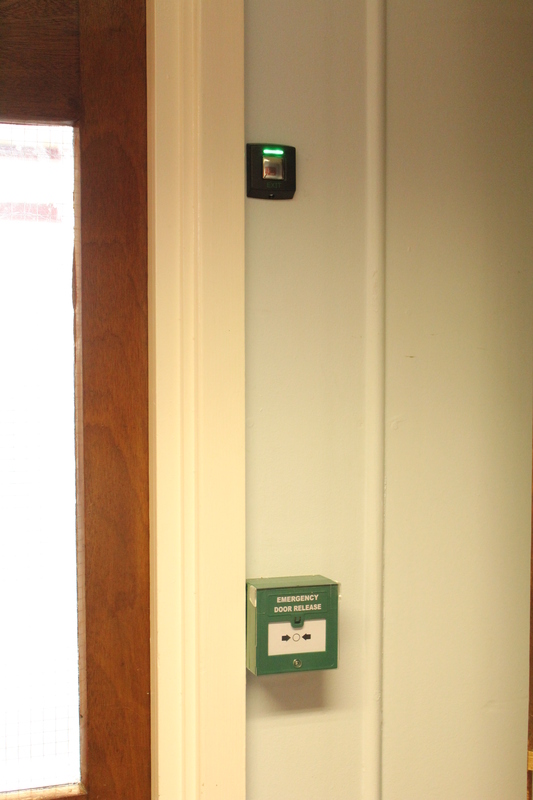 The computer based system can also be connected to a fire alarm panel so that doors are released once the fire alarm has been triggered. The computer based software can also be used for 'clocking in and out' and users entry time and exit times are recorded and a 'payroll' report is generated. At the sound of a fire alarm, a muster point can also be created to ensure that all persons on site have logged into the muster point. 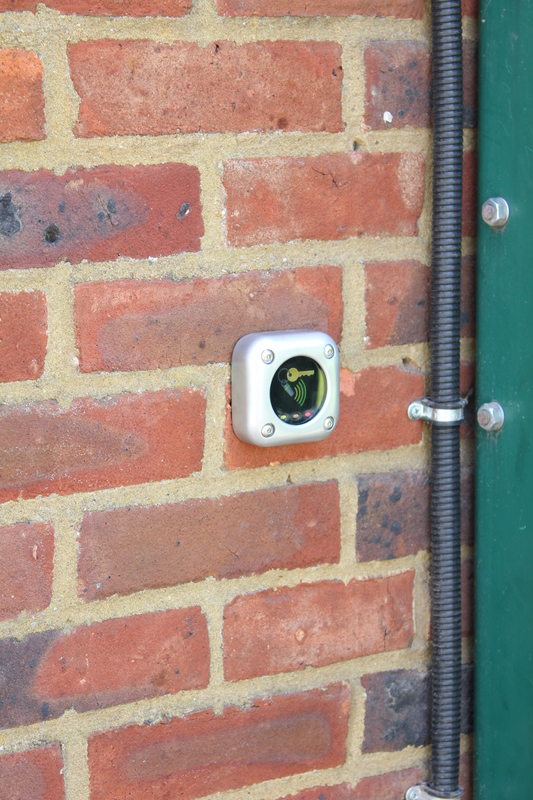 In the photo's below, we installed a Paxton E38 Exit button at high level so that the children in this primary school cannot exit. The cables were hidden in the fabric of the building and the button flashes once pressed to show the door is unlocked. 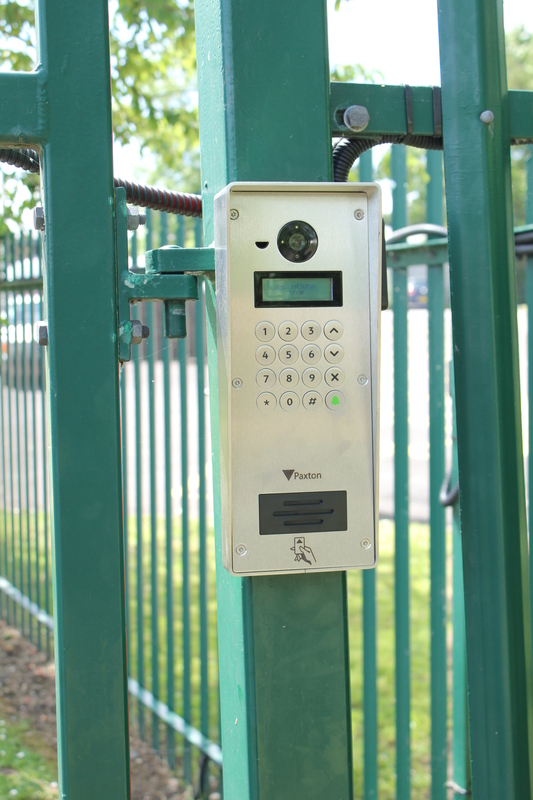 On the bleow photo on the right, we have installed a Paxton P50 Card/Fob reader. This also flashes when either a card or Fob is presented to show that the token has been accepted or declined and that if it flashes green, the door is unlocked. Both the press to exit and card/fob reader, along with the electronic door latch are connected to a controller. 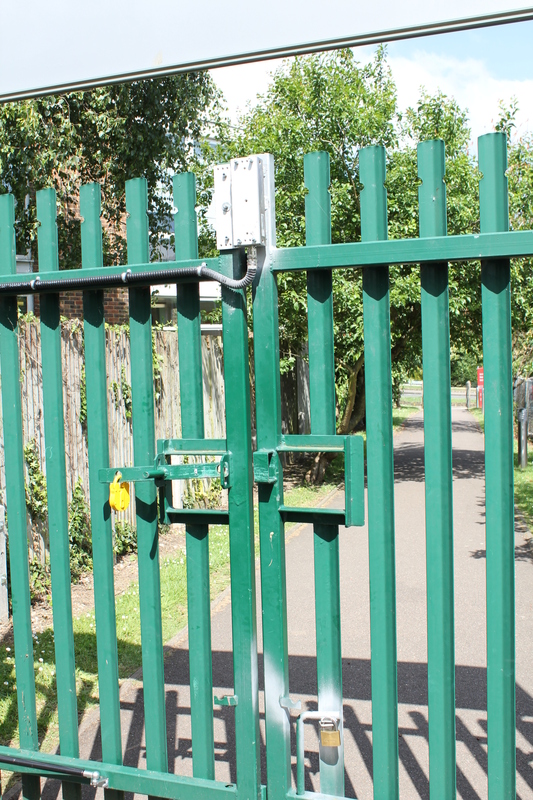 On the left, we re-aligned a school gate and attached a magnetic lock to the left gate. On the right gate, we welded the mag locks locking plate. Our cables were run in flexicon metallic flexible conduit with rubber coating. On the right, we installed Paxtons Vandal Proof Video Entery Panel. This panel is wired to a controller and once the call button is pressed, the gate can be unlocked by the receptionist. 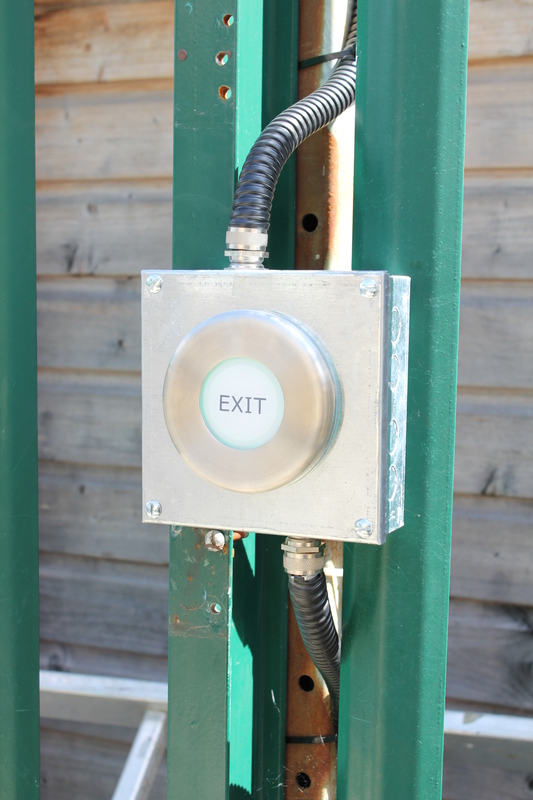 Also, a press to exit marine button was installed for releasing the gate on leaving the property. On the left, we installed a Paxton marine exit button. The button glows light green so that it is easy to find in the dark. It flashes once it has been pressed to show that the door/gate has been released. On the right, we installed a Net2 Proximity HID metal reader. This is strong, weatherproof and vandal resistant. 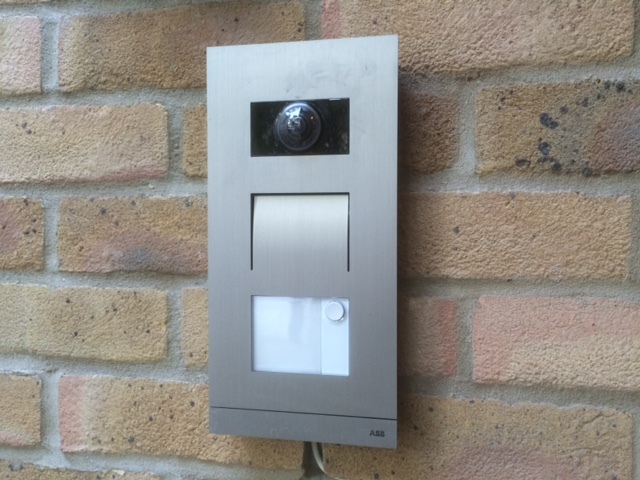 We also install ABB WELCOME video door entry systems. Here, we have installed the call station to the outer wall. We then have run cat 6 or we could have used KNX twisted pair cable, to the wiring point. The wirinig point housed the power supply and system controller and also the IP network Controller. We then run a cat 6 cable to the first floor where the welcome screen was installed. 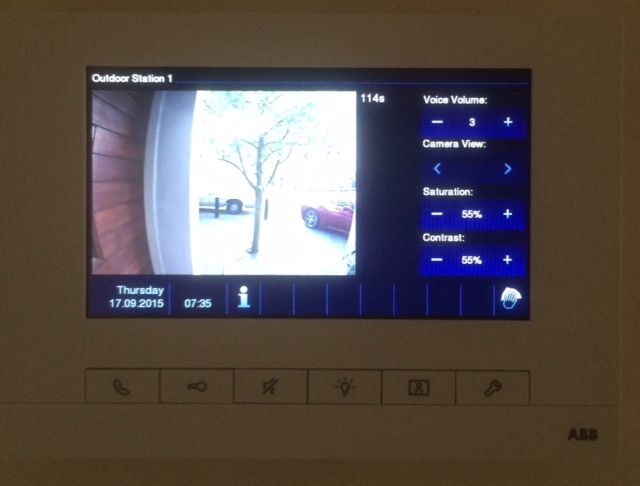 The Ip Gateway enables a very useful feature; when some one calls at the front station, you can also receive that live call on your ipad, iphone or any android device and if you have an electronic door latch, you can let your visitor in the house without you being there. It's a great feature if a child comes home from school and has lost or forgot his key - he can simply call his parents to let him in! The unit also takes photos of anyone who has called at the door station. This is a great security feature. 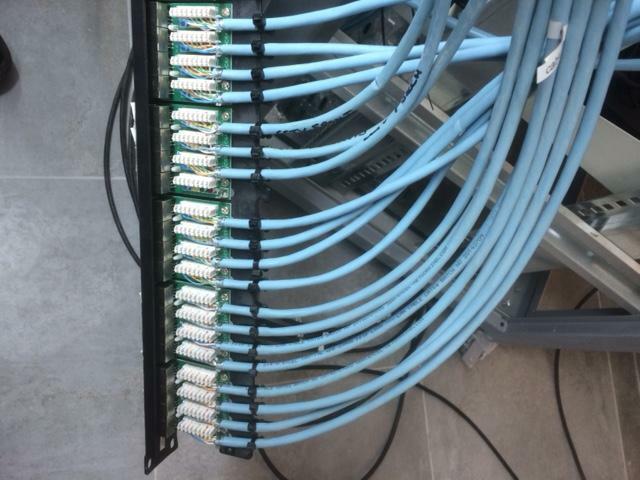 Below is an example of our termination to a patch panel of CAT6A Cable. We used CAT6A for TV, IP CCTV and Data outlets RJ45. 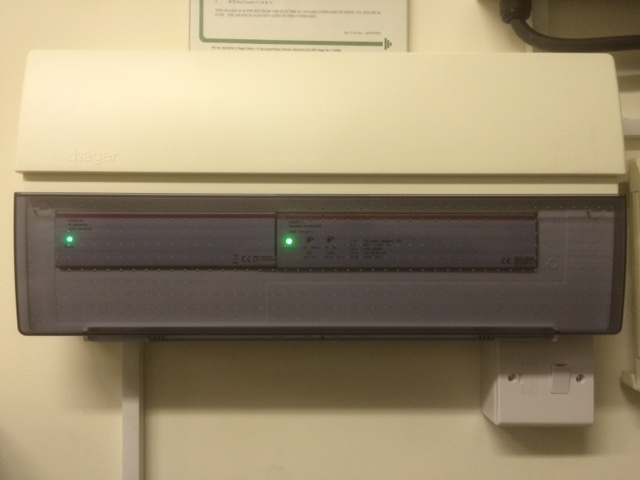 The patch panels were installed into a rack mount cabinet that housed all the media CCTV and Data systems. We install Burglar alarm systems. We custom install to suit each customer. Below, the TEXECOM system setting controller is finished in brushed chrome and is settable by number input or by using a key FOB.